And has the most beautiful ribbon flowers attached to the material. 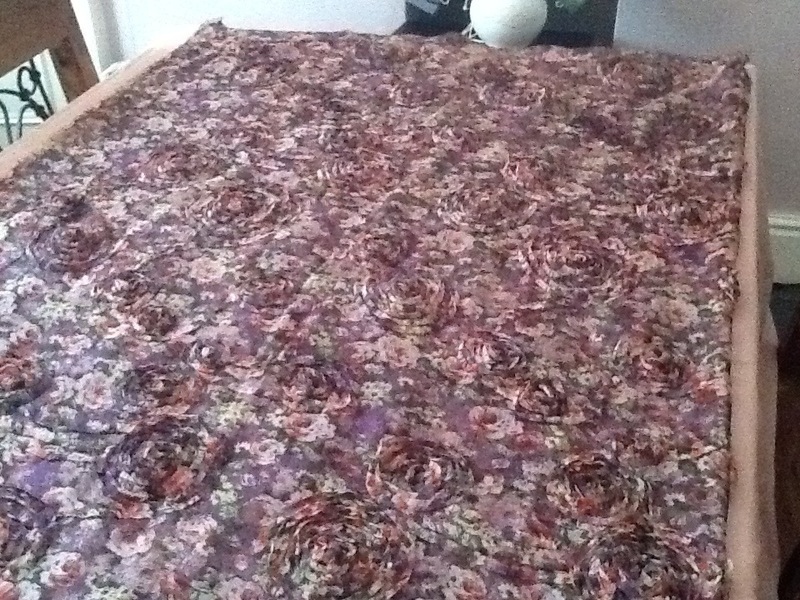 After sewing with chiffon on Floral Borders I really wanted to do a fantastic job this time. 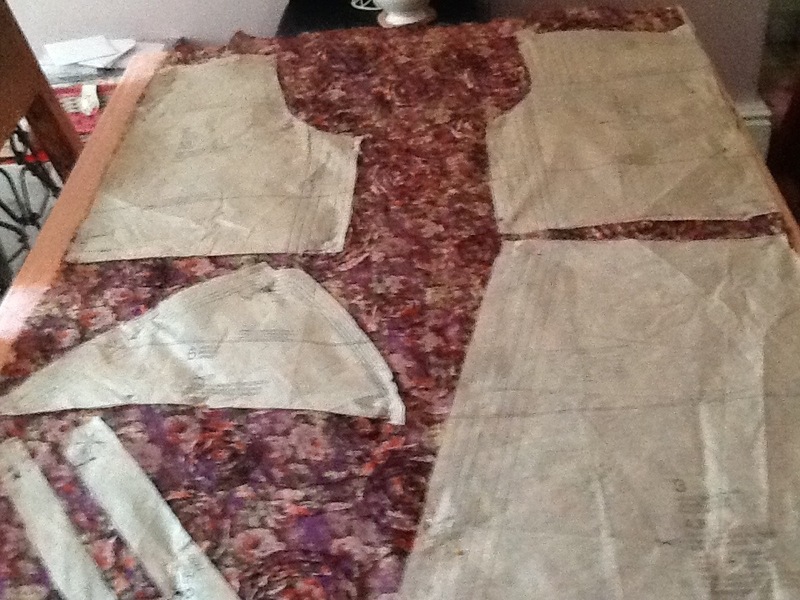 So used all those tips from all you lovely bloggers…… Note the cloth on the table before I cut out the fabric…. It made a big difference to how my material pieces looked! 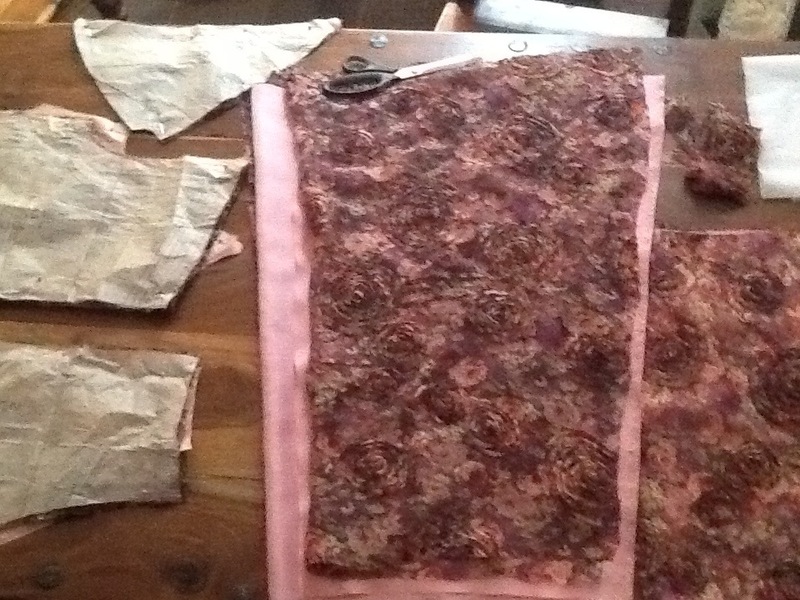 I also decided to opt for a lining and went for a soft pink which really adds to the material. I spent most of my time on gathering the neck and making sure it is a good fit. So far so good! Next stage is the invisible zipper ……. Does anyone else spend ages putting their unfinished items on their Model so they look good! ?!? This is the most beautiful fabric. 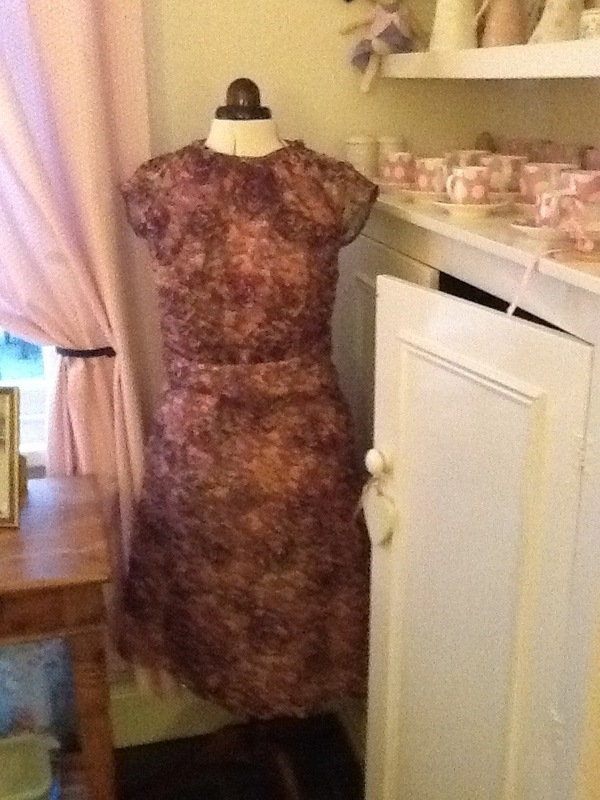 Perfect for a summer dress. very beautiful ❤ Have a happy week!! !